Thanks for approving my post and comments about seeing turkey vultures & hawks!! I will surely add much, much more. I could write a book if put my mind to it. Perhaps build my webpages = website! I look forward to adding more. 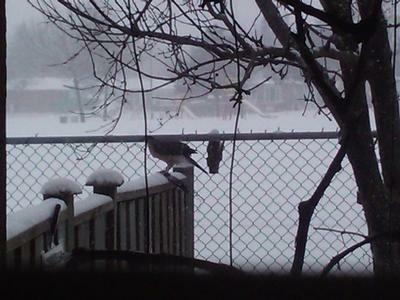 Here is 1 of 20 images, mostly all same, of a hawk taking 1 of our 11 doves a few yrs ago in our yard. Sadly. But they are fine.